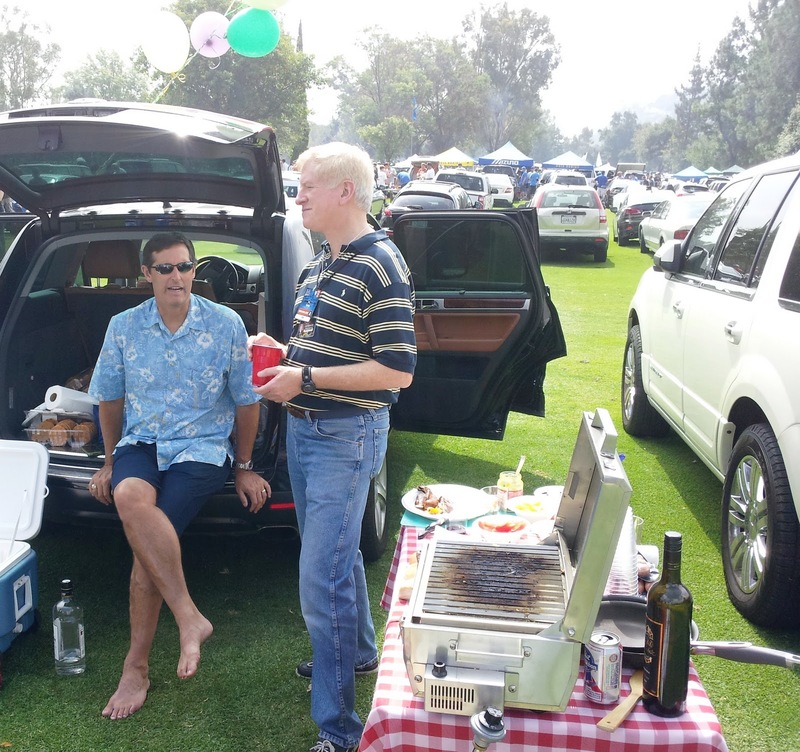 The Old Bro Network: UCLA - Texas pregame tailgate party !! Several Old Bro's gathered in the parking lot west of the Rose Bowl for a tailgate party prior to the UCLA-Texas game on 9/17/11. On hand for the festivities were Greg Anicich, Mike Benavente, Lanny Noveck, Jim Kaldem, Ernie Marchosky, Bill Waller, Nick Svetcoff, Jim Scilacci, and Rich Schammel, all getting pumped up for kickoff. 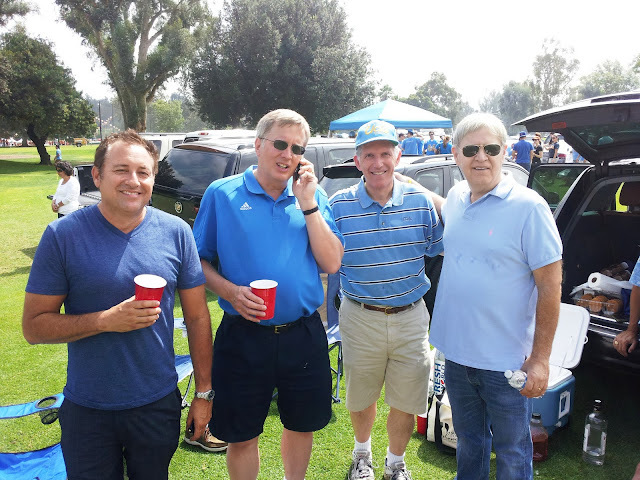 L to R - Mike Benavente, Greg Anicich, Nick Svetcoff, Lanny Noveck -- rumor has it that Anicich was on the phone at that very moment to Texas coach Mack Brown, trying to convince him and his staff to SWITCH SIDELINES FOR JUST ONE GAME so the Bruins could see what a real coaching staff looks like .... Mack didn't go for it, however, and the result was horrible for the Bruins, a 49-20 loss. Nice try, Greg ..... sell it a little harder next time !! Thanks to Jim Kaldem for sending in these photos, for that he earns mention as a "Stud of the Week". Old Bro Network is always in favor of having Old Bro's get together and re-connect, whether it's at a football game, over lunch, drinks, whatever. Send in any "Old Bro get together" stories and/or photos and I'll publish them here for all to enjoy.